BLOOD ABUNDANCE, OR THE HALF-LIFE OF ANTOINETTE/John Magary (writer/director), U.S.A. The Sundance Institute just announced the 13 projects selected for the June 2008 Screenwriters & Director's Labs. Creative Advisors at the Labs are Robert Elswit, Stephen Gaghan, Atom Egoyan and Joan Tewkesbury. ALL FALL DOWN/Jonathan Wysocki (writer/director), U.S.A.
LOOK FOR WATER/Jennifer Phang (co-writer/director) and Dominic Mah (co-writer), U.S.A.
"We are thrilled to be supporting such a promising group of filmmakers who bring authenticity, urgency, and innovation to their storytelling," said Michelle Satter, Director of the Feature Film Program. "The June Lab offers a place to fully explore the potential of their material and to develop their craft as screenwriters and directors. It is heartening to know that these filmmakers are fully engaged in the world we live in and have created stories with humor and pathos that will resonate for many years to come." The Sundance Film festival began on January 17th. This year "In Bruges" starring Colin Farrell opened the festival. Mary Kate Olsen hung out with Colin at the film's after party. Mary Kate was nice and warm snuggled up to Colin. Don't they look cute? The temperature is 10 degrees in Park City. PHOTO: WIREIMAGE.COM Actor Josh Peck, actress Olivia Thirlby, actor Sir Ben Kingsley, director Jonathan Levine, actor Method Man, actor Aaron Yoo and actress Mary-Kate Olsen at the Sky 360 by Delta Lounge WireImage Portrait Studio in Park City, Utah. 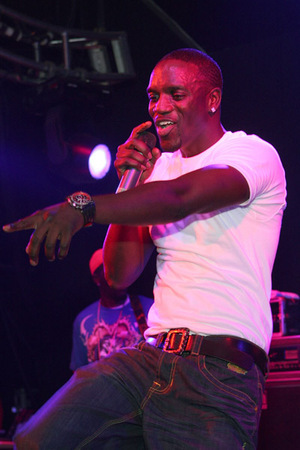 Akon performed at Harry O's. He worked the crowd and was dripping in sweat! 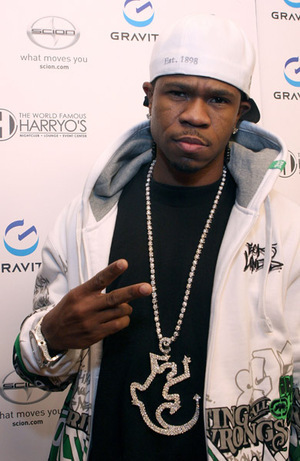 Rapper Chamillionaire stopped by to enjoy the show. Uh oh...Where did the microphone go?! LATEST UPDATE: 50 Cent has been tapped to interview Paris Hilton during the Sundance Film Festival in Park City, Utah on Sunday, January 20 for the MySpace Celebrity artist-on-artist program. Paris Hilton was spotted at the Maroon 5 concert. The 2008 Sundance Film Festival begins today in Park City Utah. Robert Redford President/ Founder of the Sundance Institute and Festival Director Geoffrey Gilmore opened the Festival with a press conference at the Egyptian Theater. The opening night film IN BRUGES stars Colin Farrell and Ralph Fiennes. The festival runs from January 17-27 2008. The complete festival program is available at www.sundance.org/festival. The program of 2008 Sundance Film Festival short films available far beyond the streets of Park City for free on www.sundance.org/watch and for sale on the iTunes Store, Netflix and Xbox 360. Some of the jurors at this year's festival are Quentin Tarantino, Juno Director Jason Reitman, Grey's Anatomy star Sandra Oh, Diego Luna, Michelle Byrd, Oscar Winner Marcia Gay Harden and Mary Harron. Awards will be announced on the evening of January 26th at the 2008 Sundance Film Festival Awards Ceremony at the Park City Raquet Club.